In collaboration with Prevention Works Consulting LLC, we can create programs that enhance and strengthen all your health, wellness, public safety, and prevention programs using SAMHSA – Evidence-Based Practices. Seamlessly tie in all your current health and wellness and public safety programs for a larger positive and lasting outcome. 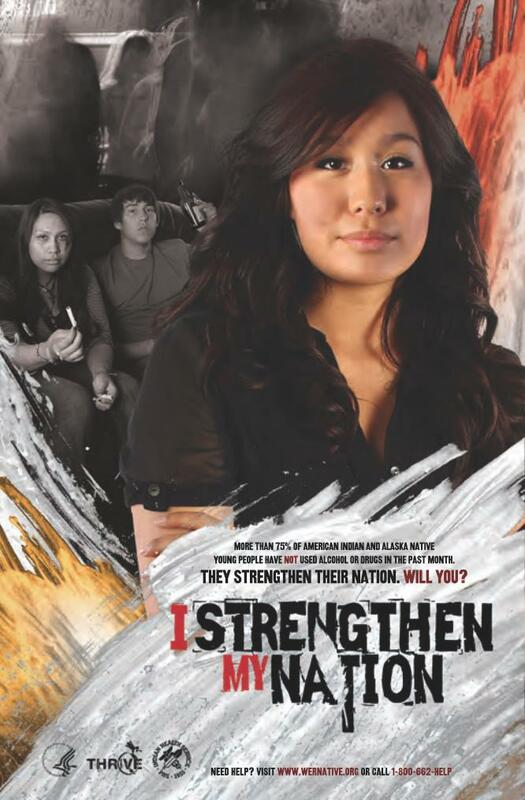 We utilize posters and poster size frames to include all social marketing and public safety campaign messages with your Tribal Department’s brand on each frame. Easily and effectively engage your entire community. Engage, involve, and provide leadership opportunities and training for all your youth involved in the program. Includes an online campaign database for tracking and evaluation. Agile project management methodology for positive team building. Include an external evaluator (required for continual grant funding). Include a campaign that is scalable and can be implemented at a very reasonable cost of financial and human resources. We provide technical assistance for all your Grant required reporting.